As part of the purchase process, customers are invited down to Carlisle’s Design Centre to view and select options for their new home. 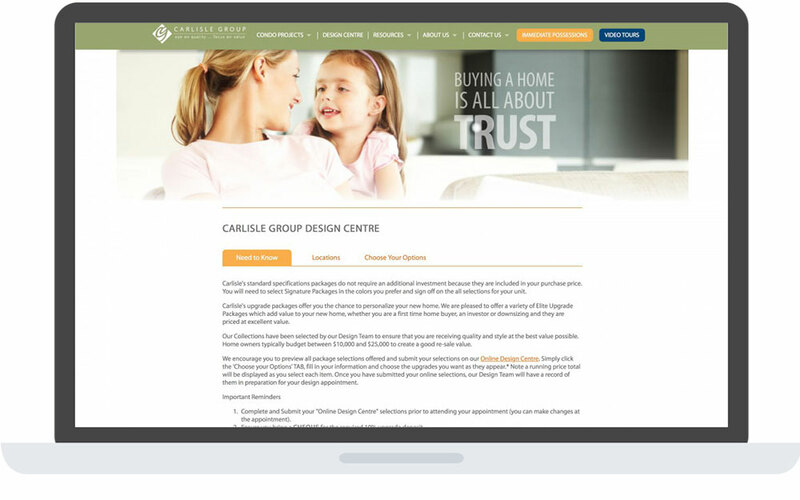 This process has proven to be challenging and time consuming, so Cornerstone was tasked with simplifying it. We built the Interactive Design Centre to help customers gain a good, visual understanding of what options were available to them, and even pre-select what they wanted. A simple, interactive experience was designed to allow customers to select options and see how it affected the overall cost of their home. They are then able to submit these preferences ahead of their face-to-face meeting at the Design Centre. When customers arrived for their in-person appointment at the Design Centre, they are much better informed, and the visits are much more efficient and enjoyable.